[UPDATE] NEW YEAR NEW LOOK! 20160105 - Hopefully it is not too late to wish all of you a very happy new year 2016! We hope that you guys have a good start for the past few days of 2016. As for us, we are pretty much occupied with our real-life careers that we hardly get to update much in December. 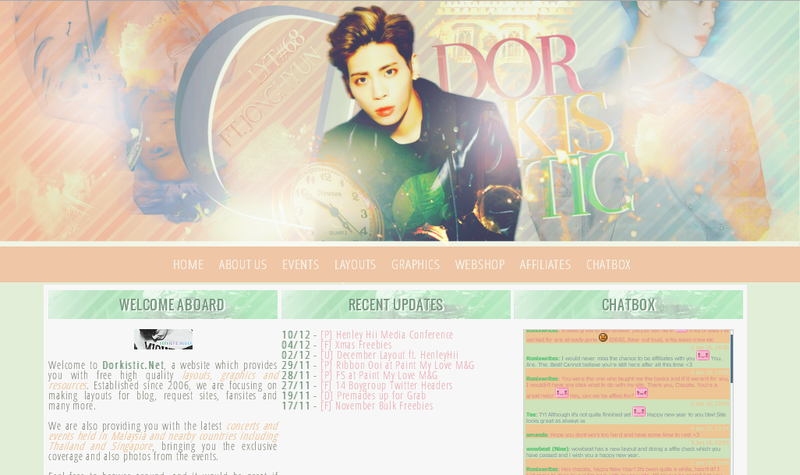 However, we are back with a new layout, and it is featuring Shinee's vocalist, Jonghyun. It's a bit colourful, and hopefully the layout will cheer you up everytime you pay a visit to our site. There is not much of major updates going on. However, expect a bunch of new freebies coming soon (mostly icons). As for the upcoming event, there are two events coming up which are the Neway K-Awards, an award event for the local idols organised by our famous KTV brand, Neway. Apart from that, there will be Exo's Exolution Concert happening in March, but the ticketing details are yet to be released. Hopefully there will be more events coming in for 2016 and hopefully we get to see more rookie idols coming here to visit Malaysia and meet their fans. For today's freebies, we have 5 Twitter cover featuring Shinee! It is recommended that you upload your twitter header via PC or desktop, rather than using your phone to maintain the quality of the image. How to download? Click the image to enlarge, right click on the image and click "save as..."